No matter how much makeup you like to use every day, including a blush in your daily makeup routine will really take it to the next level. Brands such as Milani, NYX, and Lakme are all known for their makeup products, which makes the process of selecting a blush harder than it should be. This article will help you choose the perfect blush for yourself by discussing how you should go about selecting a product, and also by providing a ranking of the best blushes you can buy online in India. 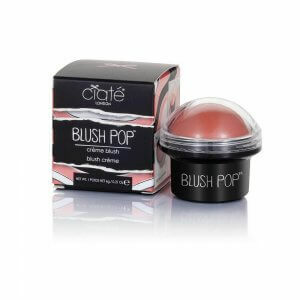 If you are interested in making your makeup pop with the right blush, then keep on reading! 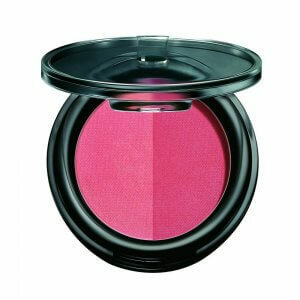 There are not only a variety of colours available, but there are also different types of blushes on the market. It is important that you select the kind that suits your skin type, your skin tone, and your undertone. The following section will explain what you must pay attention to when while choosing a blush. 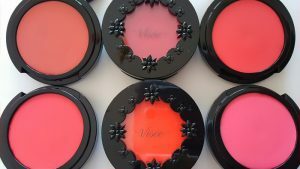 The types of blushes available on the Indian market remain limited to two, powder types and cream types. They both have their own advantages and disadvantages, so you should choose the one that best suits your needs. Powder blushes are perfect for those with oily skin as they absorb excess sebum and oil produced by the skin. They also work better for this skin type as they stick to the oil and prevent the skin from becoming too shiny. However, they’re not great for those who sweat a lot or may be in contact with water, as powder types can easily wash away. They also need regular touch-ups, so if you do not have time for that, then you should consider getting a cream type. 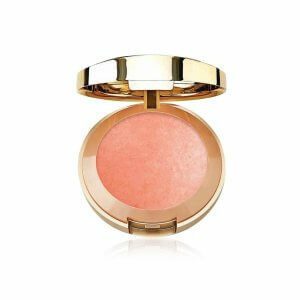 Cream blushes are especially great for those with dry skin as they are more hydrating and moisturising. They are also more long-lasting as they do not disappear with just water. They’re also a good choice for those who prefer to use just their fingers to apply makeup. They’re not suitable for oily skin types though as the oil does not allow the blush to stay on the skin for too long. Choosing the right colour for a blush can be really difficult, especially if you are shopping online, so here are a few ways you can avoid buying the wrong shade. People with fair skin and cool undertones should go for lighter pinkish shades, while those with fair skin and warm undertones should choose lighter but more peachy colours. Those with a wheatish complexion or medium skin tone can opt for slightly darker but similar shades as long as they are not too deeply pigmented. Finally, darker skin tones should choose more pigmented colours like pinkish red or coral orange, and based on their undertones, choose either warmer colours or cooler shades. Based on the information we provided above, we shall now discuss the top 10 blushes available in India that you can easily order online. If you are looking for a cruelty-free option that has good colour pay off and gives a really shimmery finish, then this is the perfect product for you. It has quite a bit of shimmer, so it is great for parties, festivals, and nights out as well. Since it is a mid-range product, you might have high expectations from it, but it only has two shade options, and neither of those shades works well for darker skin tones. Furthermore, without a primer, it only lasts for about 4-5 hours. If you are not a fan of shimmery blushes though, then you should consider one of the other products instead. 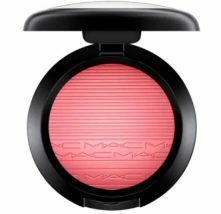 The only cream type blush on this list, it has a velvety feel and is great for a natural, sheer look. It can be used directly on cheeks and blended with fingers as it is really easy to blend. It has no shimmer in it but still gives a beautiful, glowy finish. Despite being a cream type product, it does not clog pores, so it works for normal to oily skin types too. Although it does not contain any parabens and sulfates, it is a scented product, which may end up irritating those with sensitive skin. The shade range is better than some of the other products, but still limited, so there are only a few shades that suit deeper skin tones. Even though it does lean towards the more expensive end of mid-range products, it only lasts for about 4-5 hours. 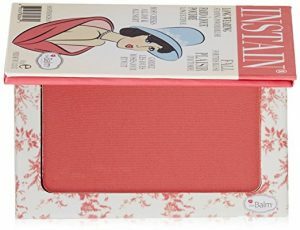 This is a great product for those who like matte blushes, as well as those who prefer shimmery blushes, as there are both options available in this range. It is really smooth, blendable, and quite buildable, so you can wear it during the day for a natural look and glam it up for the night. This is not the right choice for those with dry skin though as it can end up looking patchy, especially when you try to apply more than one layer. With just 4 options, the shade range is not very inclusive, and none of the shades work for darker skin tones. 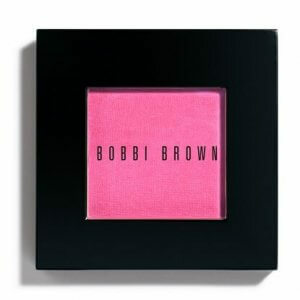 Furthermore, this blush only lasts for about 5 hours, so it isn’t long-lasting either. For all those who do not like matte blushes, but are not exactly a fan of really shimmery ones either, this is the perfect product. The shimmer particles in this are very finely milled, so they do not look over the top, but at the same time prevent the face from looking flat. 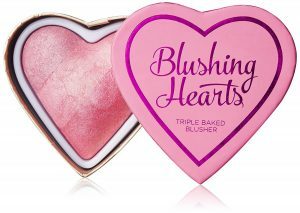 This product is also ranked higher than the rest because it is safe for sensitive skin, it applies smoothly and gives a satin finish, and it is one of the most affordable blushes on the market. This is highly pigmented though, so you might have to spend a while applying it correctly. Another downside is that without a primer, it’s not very long wearing, lasting for about 3-4 hours only, and the shade range is quite limited for those with deeper skin tones. If you do not like to spend a lot of time doing your makeup, then you should choose one of the other products on the list. The only vegan option on this list, it is also cruelty-free and affordable, without compromising on the quality. This is perfect for those who prefer a matte finish as it has absolutely no shimmer in it. Furthermore, it has a silky formulation which is really pigmented, blendable, and easily lasts for more than 5 hours. Since it is so smooth though, you can easily pick up too much product and end up applying more than you intend to, so you must be careful while using this. There’s also only 5 shades available, and only one of those truly works for darker skin tones. Furthermore, the formulation makes it powdery, which results in quite a bit of fallout, so if you’re someone who applies makeup in a rush, then this isn’t the best option for you. These are great for those who have been playing with makeup for a while and know their way around blushes. They have a matte finish, so they work really well for oily skin types, as well as for those who are not a fan of shimmer. 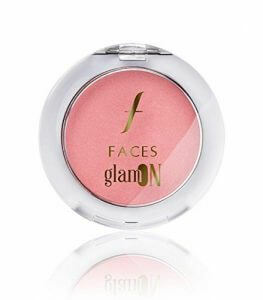 Although this is a powder blush, the formulation of these feels very creamy and has an amazing colour payoff. This is a long-wearing cruelty-free option, and is perfect for those who want their blush to last for over 9 hours! However, if you are a newbie to makeup, then it would better for you to choose one of the other options on the list as these blushes can be hard to blend if you end up applying too much. In addition, despite being a mid-range product, the shade range is limited to 6 shades, and only two of those look great on deeper skin tones. If you’re looking for a product that gives you a dewy look and lasts for more than 10 hours, then look no further cause this is perfect for you! The formulation of these feels incredibly buttery and is really pigmented with no shimmer, so it gives you the most naturally luminous look. These are very blendable too, so you do not have to spend hours blending out the colour. Furthermore, there are 11 different shades, so regardless of your skin tone, you can probably find an option that works for you. The downside to these though is that they are really expensive compared to other blushes, and they are quite delicate because of the softness of the formula, so they can break easily if you’re not careful with them. The best mid-range option, this blush comes in 8 shades, so you will most likely find something that looks beautiful on your skin tone. 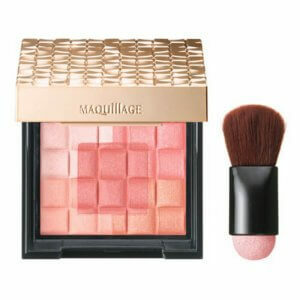 The formulation of these is similar to the MAC ones, being as soft as butter, and giving the cheeks a glowy look. They do have shimmer in them, although the amount of shimmer differs based on the shade, so all those who like shimmery makeup will like these more. Furthermore, they are long-wearing and will last for 7-8 hours even without a primer. They are great for newbies too as they are really easy to use since they are both blendable and buildable. They are also good for those who want a product that they can use on-the-go as you can conveniently apply this using just your fingers! If you’re all about that dewy look, but do not want to spend a lot of money, then you should definitely get this one! These blushes may look small, but don’t let that fool you, because even if you use them every day, they can easily last a year without hitting the pan! They are also the best in terms of shade range as there are 16 shades, so there is an option for almost all skin tones and undertones! The formulation of these blushes is really amazing too as they are very pigmented and apply smoothly, so you only need to use a little to get a beautiful flush of colour. Although these have a matte finish, they will not make you look flat, and instead give you a naturally radiant look. Furthermore, they are safe for those with sensitive skin, they blend like a dream, and they’re also long-wearing, lasting for about 8 hours. 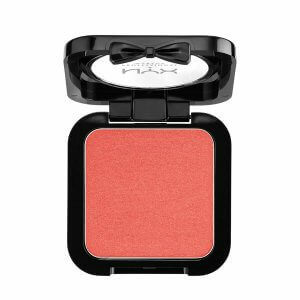 If you are looking for a high-end blush that does not have shimmer and can be used for both everyday use, as well as for more glamorous occasions, then this is the best option for you! The number one product on this list, this blush is affordable and comes in 10 different shades, therefore, it is suitable for almost all skin tones and undertones. Despite being much cheaper, the formulation of these is comparable to that of high-end blushes as it is smooth and buttery, which makes blending it out very easy. They are also highly pigmented, so you get an amazing colour payoff, and they are long-wearing too, lasting for almost 8 hours. They have a matte finish, but they won’t make you look washed out or flat, and give your face a lovely hint of colour. This is an absolute bargain because you get the quality of a high-end product without shelling out as much money. Therefore, if you are looking for a budget blush, which has a pretty good shade range (10 shades) to choose from and does not compromise on the quality, then this is the perfect product for you! Not choosing the right colour or type of blush can end up making you look dull or flat, so it is absolutely essential that you choose the one that works the best for your particular skin tone, undertone, and skin type. 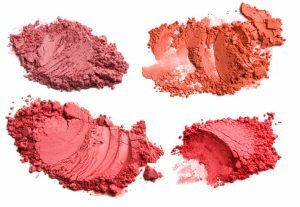 Hopefully, this article was able to help you understand how you can go about the selection process and choose the right blush for yourself. We also hope that the rankings gave you a fair idea of the best products that you can buy online and that you were able to find a blush that meets your specific needs!